18-21 November 2013, Rotorua New Zealand. 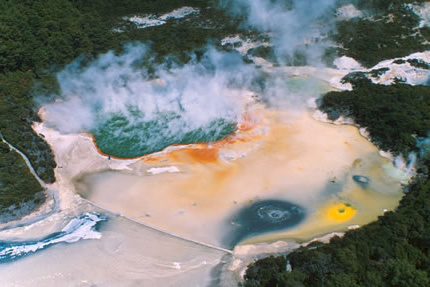 Welcome to the 26th International Applied Geochemistry Symposium (IAGS) of the Association of Applied Geochemists (AAG) which will take place in Rotorua, New Zealand, from 18-21 November 2013. The meeting incorporates the 35th New Zealand Geothermal Workshop (NZGW) and will focus on applied geochemistry, new ways of analysis, interpretation of data and geochemistry applied to environmentally sustainable mineral and geothermal exploration and development. A technical programme, special sessions, workshops, and pre- and post-symposium excursions will provide a comprehensive programme. The Symposium is jointly organised by the AAG, NZGW and GNS Science. Support also comes from professionals in the universities, mineral and geothermal industries, and their service providers. Are you interested in exhibiting at IAGS 2013?